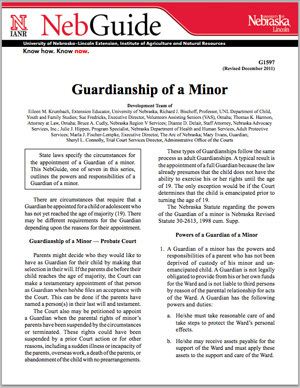 State laws specify the circumstances for the appointment of a Guardian of a minor. This is one of seven NebGuides in this series. Also see the UNL Guardianship Web site.